Article 106: Denmark Modern Kiloware Here is the first installment of a look at modern Denmark kiloware. I focus here on two high values: the 10 Kronen and the 15 kronen stamps, both on small pieces, and I also show selections of large images for three wavy lines definitives. 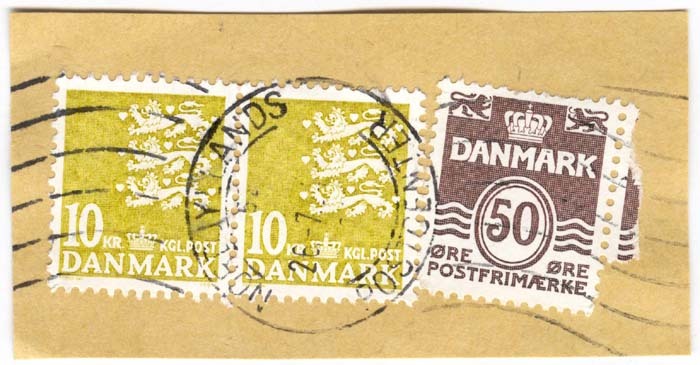 Article 130: Denmark Modern Definitives These numeral definitives have been around for a century. I also have a page of high values.